Regardless, the topography is variegated throughout Tibet with fertile valleys of rhododendron, pine forests and spectacular valleys and lakes. This country of monks, monasteries and mysteries settles itself within an area of 1.2 million sq.km inhabiting 2.3 million people. The country imparts spirituality, Buddhism and mysticism. The Tibetan culture believes in the philosophy of simple and serene living with a pure heart and a calm mind. In the earlier days Lhasa was basically inaccessible considering the folks love for isolation, but now things have changed. You can directly fly to Lhasa from Kathmandu. 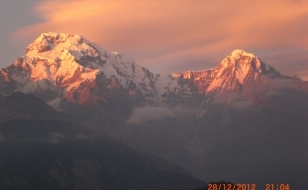 The flight takes off from Kathmandu and turns north towards giant snow peaks making its way through the eastern Himalayas as far as the Mount Everest and finally lands at Gonggar Airport situated 85 km from Lhasa. But journeying Tibet isn’t a child’s play; the journey is incredible with thrilling encounters and unpredictable circumstances. It unfolds the incomprehensible charm of the ancient Tibetan civilization and centuries old caravans. Exploring Tibet is a timeless experience of the flow which shall linger not less than a lifetime. By Air: Kathmandu – Gonggar : a twice-weekly flight operates between Kathmandu and Lhasa from the beginning of April through October and sometimes till November depending upon the weather conditions. The 55-minute flight offers spectacular views of the Himalayas and the southern Tibetan plateau including Mt. 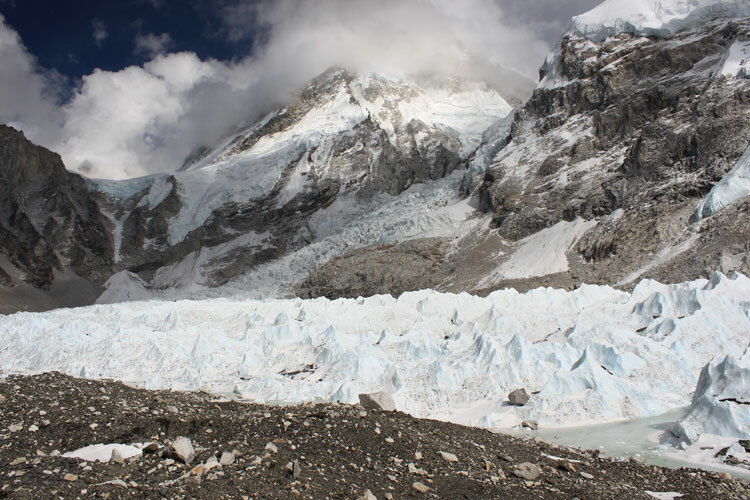 Everest and many more surrounding peaks of Khumbu region. By Road: An approach that has great appeal for hardy and adventurous travellers is to enter or leave Tibet by road, following the footsteps of explorers who for more than a century tried to reach Lhasa overland. Kathmandu to Lhasa by road is 900 Kilometres. Along the way you can visit some of the most scenic and religious sights. As per the current regulation of Chinese Embassy in Kathmandu, individual travellers are not allowed into the Autonomous Region of Tibet. The Chinese Embassy will issue visas to travellers on a group tour basis only. But group visas can be arranged from Kathmandu (Hiking Himalayas Treks & Expedition P.Ltd ) easily and we can help you put together your own ‘group” to allow you travel as independently as possible. Often these regulations are changeable. In addition to your visa, it is necessary to obtain a travel permit for travel in Tibet. Please carry some passport size photographs plus smaller denomination of US dollars cash for the completions of visa formalities. Tibet is very cold in winter, cool in summer and generally dry. The air neither blocks nor holds heat. Sunshine feels warm, shadows are chilly, and temperatures can change rapidly within a day, from 29 degree Celsius in desert areas in summer, and plunging below 4 degree Celsius the same night. The most pleasant months for tourism are from April to October. Clothing should be simple and consist of layers, which can be added or removed as the temperature changes during the day. A warm wind/water breaker and comfortable shoes are especially recommended. A light and warm jacket and trousers are also recommended. For more details please e-mail us. Hiking Himalayas Treks & Expedition p.Ltd supplies a comprehensive first aid kit during the trip. If you have any personal medication please supply either from your home country or from Nepal upon arrival. Lhasa offers a variety of drug stores but it is advisable to bring your own medications. Travelers are requested to take insurance from home which covers medical and emergency evacuation. 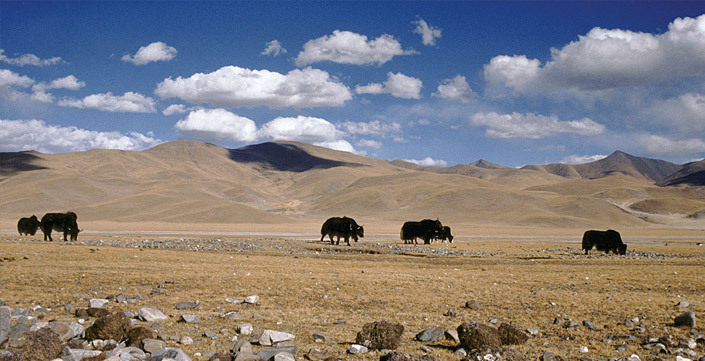 Seriously ill travellers should not consider trying to leave Tibet by road, as the difficulties and uncertainties of such a journey holds many risks. Money: Banks in Tibet/China are closed on Saturday & Sunday. 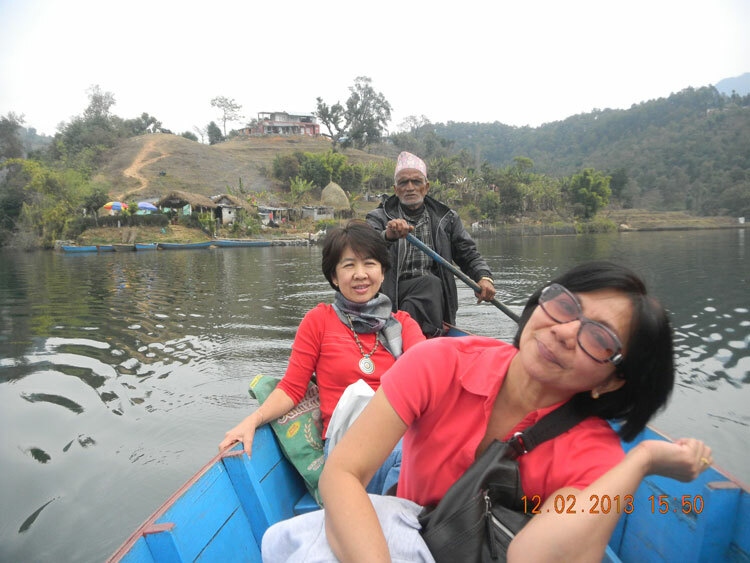 So, you are requested to carry about US $100 per person in cash or travellers cheque for personal expenses. If it is cash dollars, even local people help you to get them exchanged into Chinese Yuan. Credit cards are very difficult to cash outside the banks, especially outside Lhasa. The unit of currency is Yuan, which is approximately US$ 1 = 13 Yuan. Zhangmu (7000ft.) better know by its Tibetan name, Khasa, Is a small settlement clinging to a hillside 10km inland from the friendship Bridge across the Bhotekoshi River. After the closure of the China/India border from Gangtok, Zhangmu has become the major trading post between Tibet and Nepal. The climate is quite different from the winterland. The hills around Zhangmu are heavily wooded with countless waterfalls in summer and frozen icicles during winter. It has a bank, a post office a government store, and is presently undergoing a construction boom to meet the demands of trade and tourism. Nyalamu (12200ft.) known as “Kuti” to Nepalese traders, used to be an important trade post tucked into a fertile valley. Now days, barrack-style Chinese communes surround the typical old, flat roofed, mud-brick houses. Although vegetation is sparse, one can see an abundance of alpine fauna on the hillside during the summer months. Gutsuo (14200ft) is a military base camp situated at the start of the plateau after passing through the Thongla pass, (16400ft.) 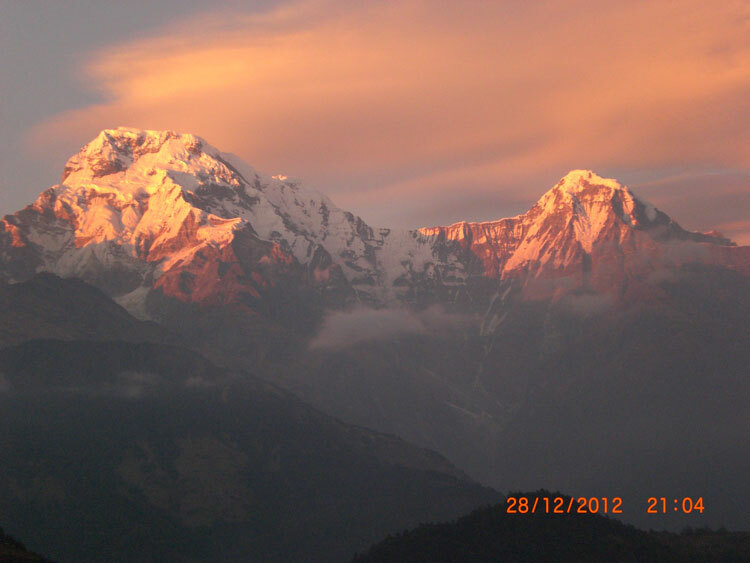 from where a stunning panoramic view of the northern face of the Himalayan range unfolds. The best view of Mt. Everest and its neighboring peaks can be seen from the road at Gutsuo. Accommodation here would be in tented camps or at the barracks itself. Xegar (13,800ft) is a new Chinese commune built at the foot of the ruins of Xegar Dzong, and is 7km from the main road. With a population of 3000 its importance lies in the fact that it is the center of this large and remote country and also a base from where expeditions to MT. 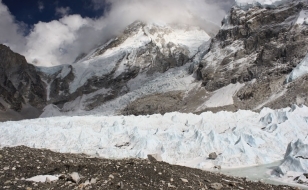 Everest and other peaks are launched. Lhaze(13100ft.) is situated at the crossroads from where the road turns westward towards MT. Kailash and Mansarovar Lake. During the short summer season, the whole valley is covered with green barely fields and bright yellow mustard meadows, which is a welcome change after the barren lands of the Tibetan plateau. There is also a small hot spring located kilometers away. 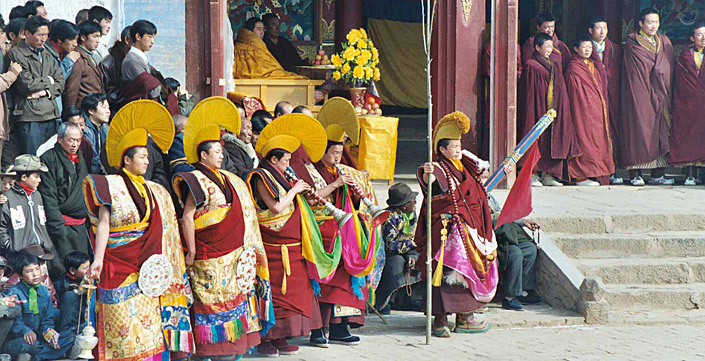 There are many different festivals, mostly based on Buddhism in Tibet. Tibetan New Year is the most important and popular festival in Tibet. Known as Losar, the festival is celebrated from the 1st- 3rd of the first Tibetan month on the Tibetan Calendar (February). Specially made offerings are offered to family shrine deities. Doors are painted with religious symbols and other painstaking jobs are done to prepare for the event. After dressing up, people “open” their doors with prayers and go to monasteries. People visit their neighbors and exchange their blessings (Tashi Delek) in the first two days. Celebration is the theme during the session. On the third day, old prayer flags will be replaced with new ones. Other folk activities may be held in some areas to celebrate the events.